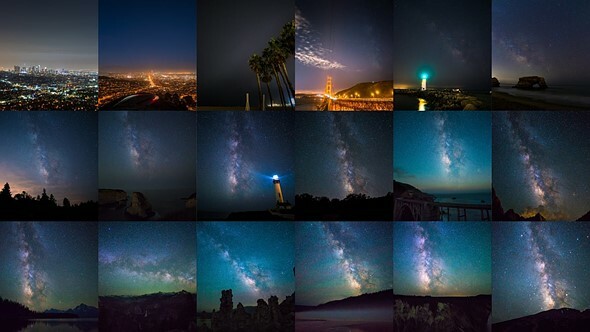 According to much of the Interwebz, the residents of Los Angeles were so shocked to see the Milky Way during a 1994 blackout, that many of them called 911. The real story is a bit less dramatic—people called observatories, NOT 911, to ask about the ‘strange sky’ they had seen—but the sad fact remains that LA and many other cities suffer from light pollution so intense that you can’t see more than a few stars in the night sky, let alone the Milky Way. This fact inspired landscape and astrophotographer Asif Islam to create this short film titled Where are the Stars? The film is a simple collection of timelapses, created by Asif at progressively darker locations he found while driving farther and farther away from Los Angeles. What begins with a timelapse of a heavily light-polluted night sky above LA, totally devoid of stars, ends with an impossibly bright and saturated Milky Way timelapse captured in the Great Basin desert. Watch the video for yourself up top, and then head over to Facebook or Instagram to see more of Asif’s beautiful astrophotography.